Original Art Studio: "pour yourself out like a fountain"
"pour yourself out like a fountain"
as the curve of the body as it turns away. What locks itself in sameness has congealed. Is it safer to be gray and numb? dares you to become the wind. 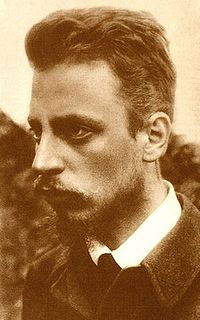 Rainer Maria Rilke (also Rainer Maria von Rilke) (4 December 1875 – 29 December 1926) is considered one of the German language's greatest 20th-century poets. His haunting images focus on the difficulty of communion with the ineffable in an age of disbelief, solitude, and profound anxiety: themes that tend to position him as a transitional figure between the traditional and the modernist poets. He wrote in both verse and a highly lyrical prose. His two most famous verse sequences are the Sonnets to Orpheus and the Duino Elegies; his two most famous prose works are the Letters to a Young Poet and the semi-autobiographical The Notebooks of Malte Laurids Brigge. He also wrote more than 400 poems in French, dedicated to his homeland of choice, the canton of Valais in Switzerland. first - I am reminded that all we are asked to do is be "broken and poured out" so others can have hope. and Second -my son studied in Prague for a year at a campus- site that NYU has there. It was a wondrous experience for him, for all of us. He is a writer, and an artist, and soaked up every nuance. I always thought he was a girl...anyway love his poetry, thank you for putting it on the front burner- it is season friendly poetry - thoughts are as deep as the snow.. Wonderful writings. I'm really moved by the images posted with it and I'm really inspired by that portrait of Rainer Maria Rilke, as well as his words. Beautiful pairing of poet and painter!